This November 13, 9:00am to 6:30pm, join Tennessee’s DevOps community of experts for a full day of talks and networking. 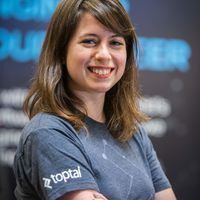 Debbie Levitt, a Toptal designer, will take the stage with a talk titled DevOps ICU: Improving DevOps Results by (Correctly) Integrating UX. Join Debbie at 10:05am to hear more. For additional information, see the event website.